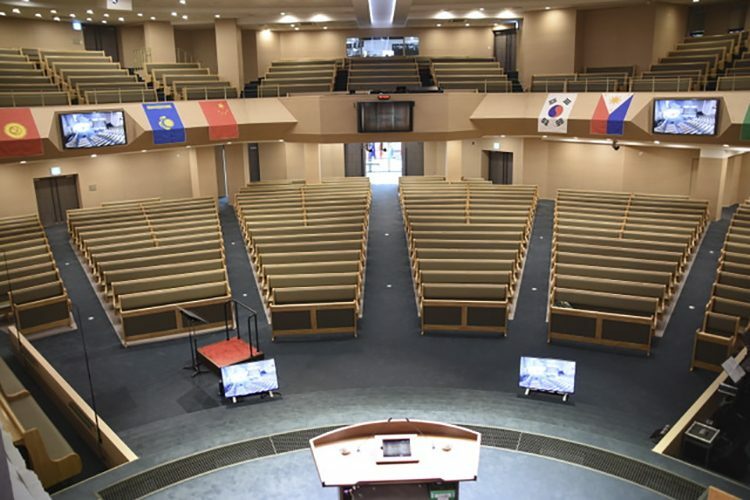 Yoido Baptist Church in Seoul has been established for almost 45 years and has around 5,000 members. In 2014, a fire that started in its control room devastated much of the building. The blaze destroyed most of the AV equipment and some of the main area of worship – known as the main sanctuary – meaning a complete re-build of the building and a total re-design of the AV equipment. Architectural Audio Corporation Korea (AACK) took charge of the sound, lighting and video infrastructure. The project was very personal to Director of the company, Dohun Kim, who is a member of the church’s congregation. Senior Pastor, Myung Ho Cook, wanted the re-built church to be state-of-the-art but at the same time retain its holiness and authenticity. Therefore, he was adamant that the AV equipment in the main sanctuary should not be seen – that meant hiding or disguising loudspeakers, projectors, lighting equipment and control units. Clearly, this presented a considerable challenge. The brief also demanded that the sound system had ‘the best voice intelligibility’. 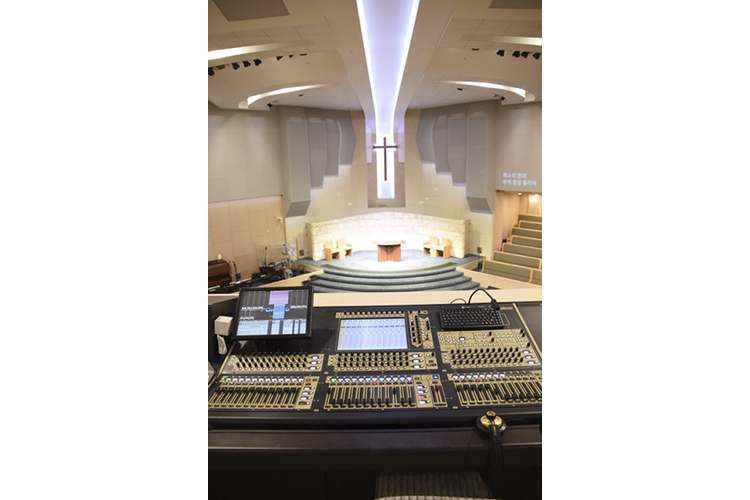 The previous sound system was around 15 years old and the audio coverage in the main sanctuary was patchy at best, therefore, even coverage and excellent intelligibility – particularly in the mid-range vocal frequencies – would be a crucial requirement of the sound installation. Dohun turned to Funktion-One. AACK was appointed as official Funktion-One distributor for Korea in 2014. A pair of EVO7 Es cover most of the first floor and a pair of EVO6 Es cover outer portion. Six Resolution 4s cover the upper balcony area. 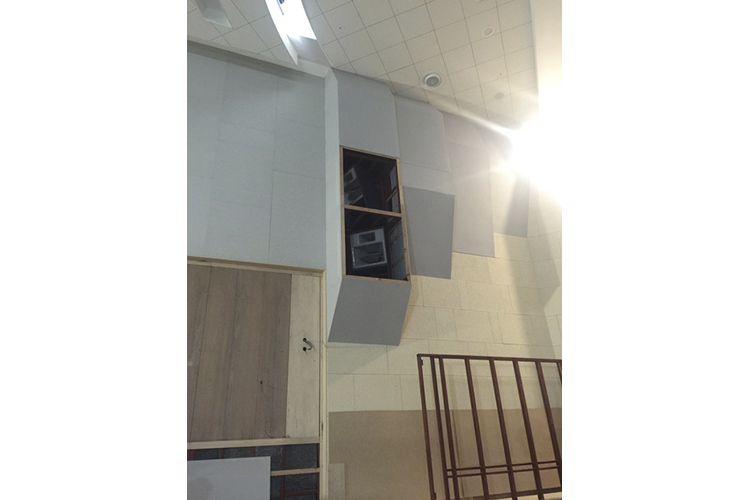 The loudspeakers are housed in wall cabinets that have mesh fronts so that the speakers are completely obscured. 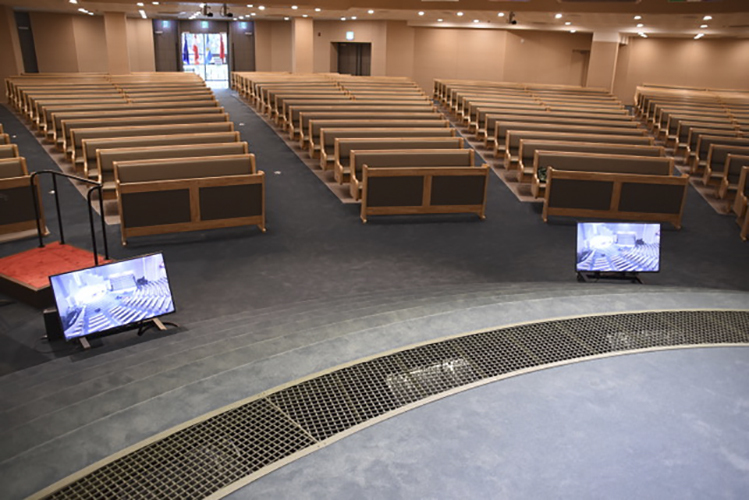 More Funktion-One speakers can be found in the second building at Yoido Baptist Church, where smaller rooms – used for worship, seminars and education – are kitted out with F1201s and F55s. There are two amplifier rooms which house the processing and amplficiation – including Funktion-One E45 and MC2 E475 amps. 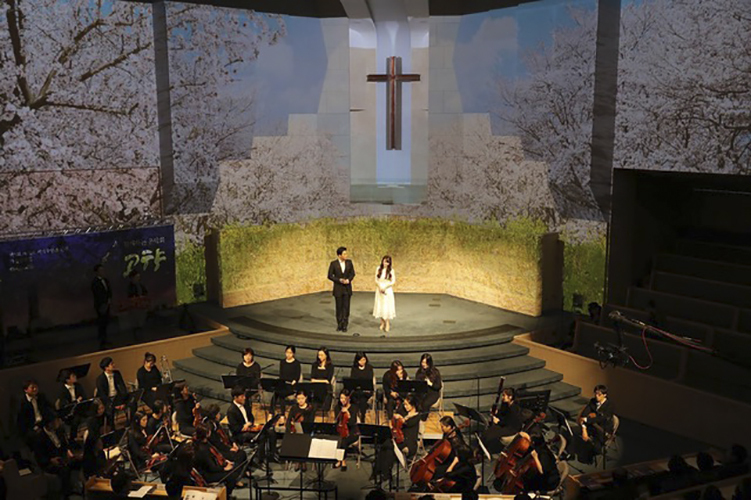 AACK hasn’t just delivered a high-performance (and discrete) sound solution to Yoido Baptist Church, the company has devised a 360-degree AV package for the entire venue. It is a standout installation – not only in terms of audio quality and speech intelligibility, but also in the way that the extensive technical infrastructure can be managed very easily and with very little resource.